Comment: Receive this fine as new book. Shipped from our UK supplier, via Royal Mail. Please note this title is print on demand. 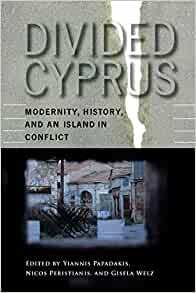 Start reading Divided Cyprus on your Kindle in under a minute. This book and the 'conspiracy'are gems of writing it puts the island and the people under the microscope and gives and insight to all the troubles going back centuries,captives of their combined history. It was my first posting in 1963,they all lived together in peace,and then December 1963 the strife started and lead to the island as it is today. No wonder Denktash was dismissive of combined island at a recent press conference.Good book factual as far as my memories as a british squaddie who was there,and watched it all happen.